Adding to the Car Crazy Experience that is Meguiar’s MotorEx, the 2017 show will celebrate two incredible automotive milestones that have left an incredible impact on car culture around the world. Glistening under the lights of Sydney Olympic Park will be a tribute to the 50th birthday of the Chevrolet Camaro and Firebird, along with the 60th anniversary of the iconic ’57 Chev. 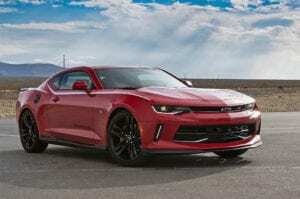 Built as Chevrolet’s answer to the Ford Mustang, the Camaro quickly became a runaway success in the U.S, spawning six generations of the ‘pony’ car over the next 50 years. The underlying Camaro philosophy throughout the lineage has been a; two-door, rear wheel drive, muscle car. Not only has the Camaro experienced huge sales success in the U.S over the years, it has also seen its share of success on the world’s racetracks – including Bob Jane who won the 1971 and 1972 Australian Touring Car Championships behind the wheel of his ZL-1 Camaro. 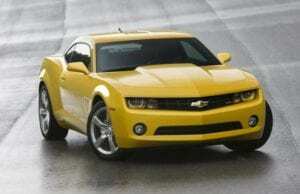 The Camaro and Firebird are TV and movie favourites, with none more famous than the yellow “Bumblebee” Camaro from the Transformers franchise and the black and gold Trans Am from Smokey and the Bandit. A beautiful example of each Camaro and Firebird generation will be sitting proud at MotorEx, reflecting these exemplary muscle cars and the history and joy they have brought to so many. When it comes to the most iconic of all classical vehicles, the ’57 Chev is often the first to come off the tongue. Although a carry-over from the ’55 and ’56 models, the ’57 was given a facelift, with a wide chromed grill, new dashboard and those famous rear tail fins. 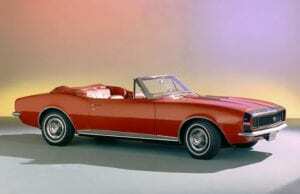 Engine choices included everything from the 250ci “Blue Flame Six”, to the 283ci “Ramjet” V8. Thanks to the fitment of fuel-injection the Ramjet was good for 283 horsepower – quite a figure for 1957! 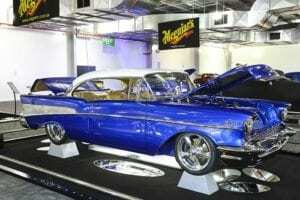 Meguiar’s MotorEx has pulled out all stops to celebrate the 60th anniversary of the ’57. They’re bringing together some of Australia’s best examples of this incredible model, plus a jaw-dropping ’57 Chev-style golf Kart, built by Kindig Design in the U.S.
“A huge part of Meguiar’s MotorEx is the cars that for many of us have shaped our passion, so we are excited to bring a fitting tribute to these two iconic vehicles that still resonate just as much today as they did when they were first released,” said MotorActive/Meguiar’s MotorEx, Managing Director, Bruce Morrison. These celebratory displays form only a small part of the incredible automotive spectacular that is Meguiar’s MotorEx. Join the other 25,000 attendees to witness the best-of-the-best in Australian show cars as part of the Meguiar’s Superstars, witness the unveiling of the newest, never seen before creations in the House of Kolor Inauguration on Saturday morning and revel in the country’s greatest aftermarket suppliers and race-bred machinery in the Liqui-Moly Performance Garage. Combined with many other incredible displays, vehicles, activities and gourmet food vendors, Meguiar’s MotorEx will be just the way to warm up and satisfy those car cravings this winter. Editor: See you at MotorEx at what promises to be a great event.